Make the world your oyster with Pearl Styler. 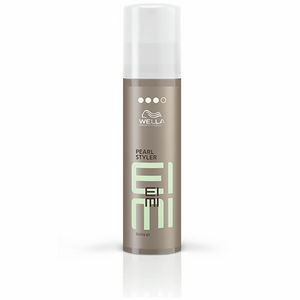 Wella EIMI Pearl Styler is a styling gel that lifts, texturises and tousles hair into compelling styles. Not only that, but it also adds a pearly gloss structure to the hair that simply screams health and vitality. It's part of the EIMI collection from Wella and replaces the old Wella Professionals Dry Pearl Styler. Available in a 100-ml can. £7.32 (inc. VAT) Why no VAT? We're a trade wholesaler and quote our prices without VAT to help our VAT-registered customers understand the true cost of a purchase.